Home / News / You Are Our First Responders! Port-of-Spain, Trinidad, September 19, 2017: “You are our first responders. You are the bedrock of the society. When you intervene in the classroom, you bring life and salvation for those who would not have had an opportunity to rise above their situations.” This was the view shared by Project Leader of the Leading for Literacy Now! (LFL) Programme, Mrs. Elizabeth Crouch. Crouch was speaking at the closing ceremony and graduation of the third phase of the Leading for Literacy Now! 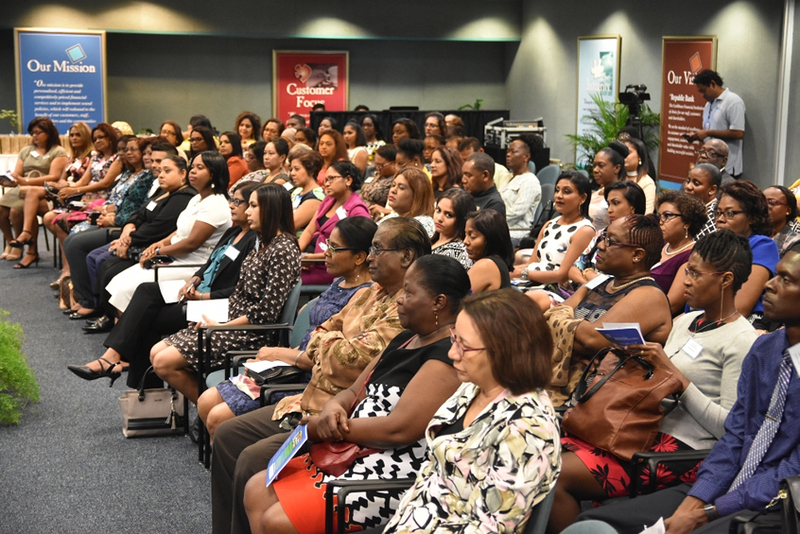 Programme, which was held at the Republic Bank’s Head Office, Park Street, Port of Spain, last Sunday (September 17). Thirty-six principals, 72 teachers, 1,000 parents and over 1,600 infant-year students participated in this instalment of the programme. Principal of the Year, Mr. Milton Eastman of Black Rock Government, Tobago, praised the programme for all that it was able to achieve. He said, “work like this cannot be done alone and as educators, we all need to support the call for a Literacy movement, to ensure that our children are successful.” Eastman also congratulated his teachers, Mrs Marjorie Moore-Carrington & Mrs. Colleen Joefield-Des Vignes, for winning the Outstanding Teacher of the Year and Creative Use of Class Environment awards, respectively, in their District. The programme, which is a collaborative effort between the Ministry of Education, the Trinidad and Tobago National Commission for UNESCO, NALIS and Republic Bank Ltd, provides a comprehensive approach for school principals, teachers and parents to work towards improving the reading capacity of the children. Speaking on the Bank’s vision for the project, Social Investment Officer, Nadia Williams, commended all the partners on the contributions they made throughout the school year. “You have all performed exemplarily – leading for literacy by leading by example. This graduation ceremony is a milestone of achievement. It represents what can happen when we all work together in the pursuit of something better for our nation’s children,” Williams said. Also present at the ceremony was Susan Shurland, Secretary General of the Trinidad and Tobago National Commission for UNESCO and Deputy Permanent Secretary, Ministry of Community Development, Culture & the Arts. 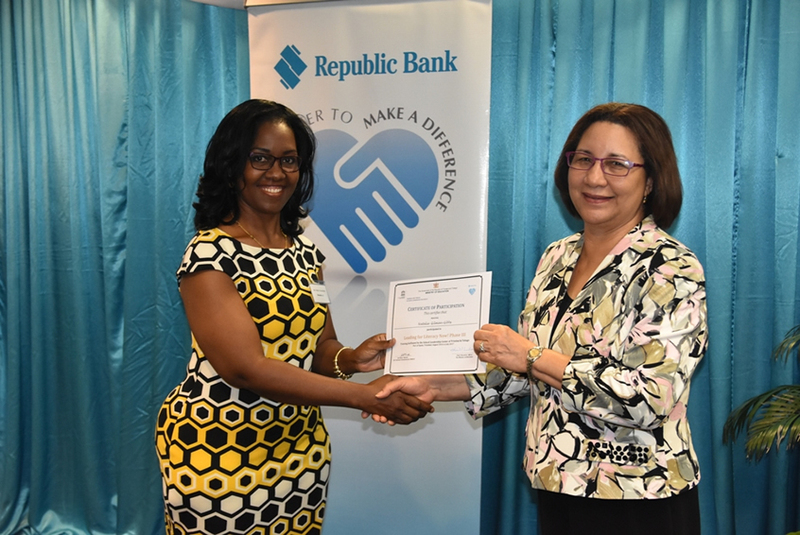 Republic Bank proudly partners with all its stakeholders to offer to the nation’s students, communication skills, understanding that initiatives, such as these, help to make a positive difference in their lives, their families and in their communities.